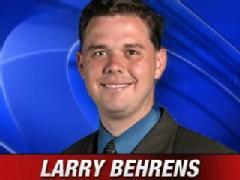 Former Action 7 News reporter Larry Behrens has been hired by the House Republicans to be their spokesman for the upcoming Legislative Session. Behrens last year was one of the 347-or-so reporters and bloggers covered the Legislature for the New Mexico Independent back when it was a going concern. He's since worked for KKOB radio's news effort.